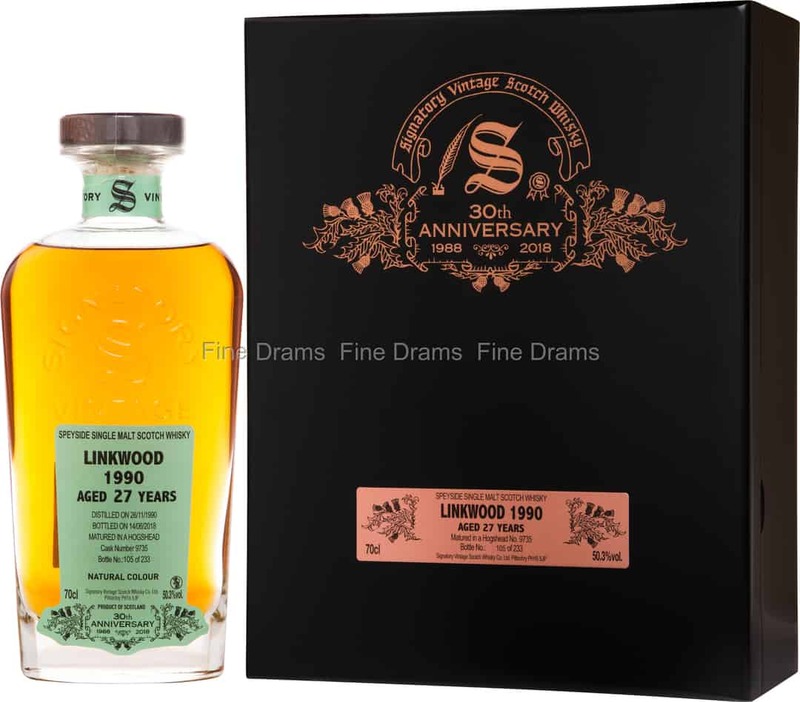 Founded in 1821 by Peter Brown, Linkwood was completely demolished and then rebuilt in 1872 by his son William. In 1972 a second still house with 4 stills was added and was known as Linkwood B. Linkwood A, ceased production in 1985 and most of the original buildings were demolished and replaced. In 2012 the number of stills were increased to six. Distilled on 26th November 1990, this hogshead bottling repeatedly flirts with the world of sherry. Firstly, with its particularly exotic fruity aromas and very heady floral register and then with tertiary aromas of forest floor, roasting and black fruits that definitively take hold of the tasting. Colour: burnished gold with glints of copper. Profile: the complex initial nose is very fresh, malty and herbaceous. Allowed to breathe, it becomes exotic (mango), roasted and spicy (black pepper). The well-balanced attack is also malty. Next, dried fruit (walnut) and spices (clove) take the lead role. The palate becomes increasingly flowery and tertiary (cep). The finish is delicately woody (beeswax) and silky. The retronasal olfaction is fruity (apricot, Mirabelle plum). The whisky was disgorged and bottled under my supervision in the Town of Pitlochry on 14th June 2018.